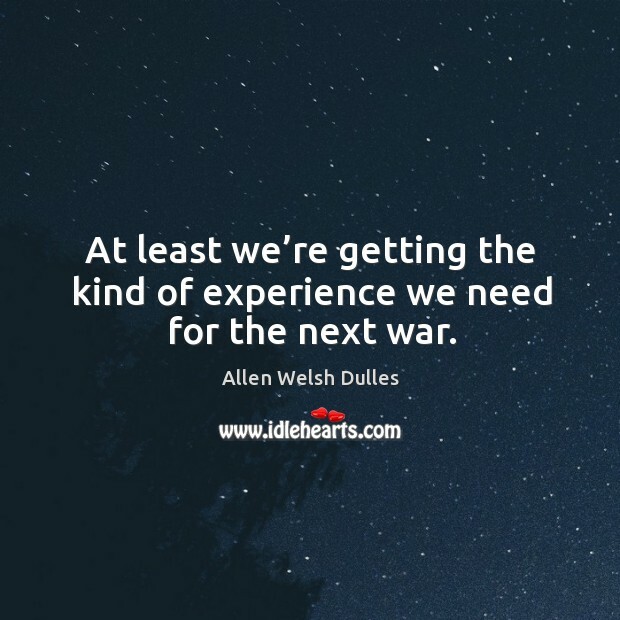 Enjoy the best inspirational, motivational, positive, funny and famous quotes by Allen Welsh Dulles. Use words and picture quotations to push forward and inspire you keep going in life! At least we’re getting the kind of experience we need for the next war.